Tony Jamous, software engineer turned entrepreneur turned full-time angel investor, shares his thoughts on opportunities for start-ups and investors in today’s tech landscape. The careers of all successful entrepreneurs are built around identifying opportunities. But for Tony Jamous, his first steps on the road to building a business came with an awareness of his own limitations. In 2010, Jamous founded Nexmo, a software technology start-up that provided a communication platform as a service. The company’s growth was exponential: within five years, it was worth $100m. An acquisition by the internet telephony service provider Vonage presented Jamous with the opportunity to help other businesses to grow, both through advice and investment. The platform model is particularly powerful because of its scaleability, Jamous believes. “Think about Uber. When they first built the platform, it took a lot of effort and energy, both on the technology and on the brand. But when they move into Uber Eats, or Uber Trucks, or Uber Helicopters, then the effort for them to do that is much smaller than building everything from scratch. So that’s why I like to invest in platform models,” he says. Venture capitalists are set to make this a record year for private investing, with $73bn having been poured into ‘unicorn’ companies in the first seven months of 2018. And for many start-ups, the dream trajectory for growth is to attract funding first from vinvestors like Jamous, then through private equity, before ultimately listing publicly. But for those looking to exit their businesses, this is not necessarily the ideal route to follow. Going public is not really an exit for founders. Acquisitions have been part of the success stories of two of Jamous’s standout investments. Endaga, a provider of open-source software to build networks in remote areas of the world, began in Indonesia, where it placed antennae connected to satellite internet, creating a wireless network and providing residents with phones and sim cards, enabling them to communicate with people outside of the island. The company was acquired by Facebook in 2015 for an undisclosed sum. So what qualities does Jamous look for in a company when making the decision to invest? “There are three areas I look for,” he says. “The first one is a team that is agile and gets stuff done, with a founder who can articulate a great vision and hire great talent that can follow them to achieve that vision. But that’s not enough. We also look at the structure of the market and the scalability of the business model. Like the example of Uber, they can introduce a new product into the market much faster and more cheaply than other competitors. 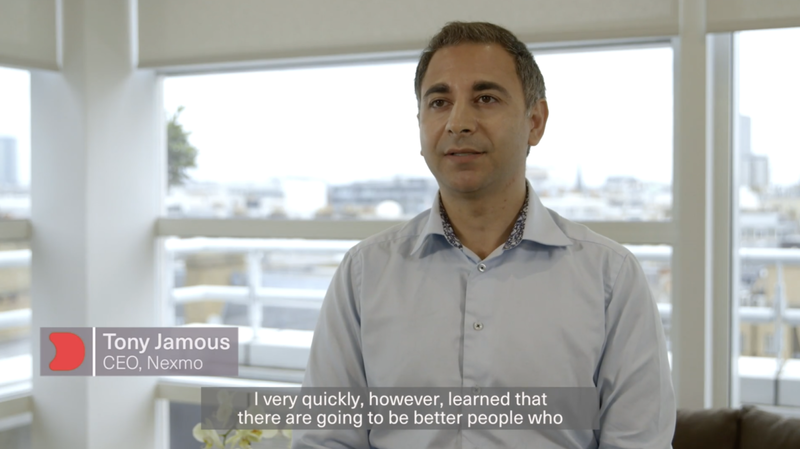 The scaleability of the platform model is key to its attractiveness to investors like Jamous. But what actually defines a platform? It’s a platform’s ability to create exponential growth that is exciting for investors. Blockchain is another area in which Jamous sees potential. “My opinion is that much of blockchain is hype at the moment, but there are some opportunities that are very valid and very solid. I think the ICO market didn’t help blockchain’s reputation market because there have been a lot of failed ICOs in the last couple of years. But it doesn’t mean that at some point there won’t be more tangible and more valuable opportunities with Blockchain,” he says. In a market where opportunities abound, it’s unsurprising that increasing numbers of VCs and angel investors are on the lookout for the next Zenly or Endaga. But the nature of the market and the demographic profile of investors in changing, Jamous notes. “We’re seeing more and more angel investors coming in at early stages, partly because there is more liquidity in to the market but also because there are very attractive tax schemes that the UK government has introduced to foster innovation and investment in early-stage companies. We’re also seeing more and more women coming into the space. Still not enough by any means; we are very far from gender equality in the sector,” he says. Investors looking to enter the tech space are faced with a fundamental choice: to go it alone, or to join forces with others in a VC fund or fund of funds. Both options have upsides and downsides, Jamous explains. “Going direct is a higher-risk path. Because you are on your own, you have limited number of opportunities you can do per year, so you’re not as diversified as a fund. But it provides you with more control, so if you have an edge and you are specialised in a certain area of expertise, then going direct makes more sense. In the case of going through a fund or fund of funds, you have a diversification opportunity because a fund can invest in multiple opportunities. It’s less admin intensive, but it comes with additional fees and less control over these opportunities. There’s no right or wrong approach; it depends on the angel investor and the edge that investor has in the market,” he says. For ambitious entrepreneurs looking to attract that all-important funding that will accelerate their business’s growth to the next level, what advice would Jamous offer?